The Vatican has published secret archive documents about the trial of the Knights Templar, including a long-lost parchment that shows that Pope Clement V initially absolved the medieval Christian order from accusations of heresy, officials said Friday. I have to admit amusement about the current media frenzy on the Knights Templar, though I understand the background for it. Tomorrow, October 13, 2007, will be the 700-year anniversary of the date that King Philip IV of France made a power play to get out from under some financial debts -- he simultaneously had many Templars in France arrested, charged with various types of heresy, tortured into "confessions" and then burned at the stake. Probably because of this anniversary, the Vatican is releasing some documents from its "secret archives." Or at least, they're publishing a book about it. 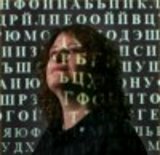 The story is getting picked up by the major news portals: BBC, CNN, AOL, etc, partially because it sounds cool, and partially because of some remnants of "Da Vinci Code" fascination. Traffic to the Wikipedia page has picked up, which I've noticed because, well, I wrote most of the page. :) I'd also arranged for the article to get bannered on the Wikipedia mainpage (en.wikipedia.org) on October 13, which should start at GMT time in about an hour or so. As for the "news", I have to smile a bit, because it's *not* news. This "secret document", the Chinon Parchment, actually came to light several years ago. Multiple history books have already been written which take the new information into account. So it's not really "new" to historians, but I guess it's new to pop culture, so at least the news gets out that way, even if a few years behind. I've also been watching with amusement and a bit of horror at just what the major news agencies are saying about the Templars. Most of them are keeping the information minimal, because it's obvious that they don't know what's true and what's false. And in at least one case (the BBC, interestingly enough) they published some information that was just flat out wrong. Anyway, I'm glad to see that Templars are getting some credible press attention, I'm glad that they're getting public acknowledgement that they weren't an evil secret society, I'm glad that the anniversary is starting with a bang, and I'm glad that a page I wrote on Wikipedia, is getting a lot of attention. I just saw "The Good Shepherd", a movie about the origins of the CIA. The following link has an article which covers some of the actual historical events which the movie was based on. If anyone else has a good "fact and fiction" link which analyzes the historical basis of the movie, I would be interested in reading it. The "Virtuti Militari" is a Polish medal that is equivalent to the American Medal of Honor. This page has a list of the recipients. Antoni Dunin was my grandfather, who died in battle as a First Lieutenant at the age of 32, during the German Blitzkrieg. Our family history was pretty much shredded by World War II, so bit by bit, I'm piecing it back together. I don't know the details of why he was awarded this medal, but someday I will find out . . . Guns, Germs and Steel screens across the country on PBS from July 11 for three weeks on Monday nights at 11pm in most cities.
] this brutal division of a continent upon the mind of the world.
] to look upon a scar. In regards to the death of President Reagan: I'm reminded of a time that we passed ever so briefly... I was working in Los Angeles at the time, during one of the post-Reagan administrations. I was standing streetside for some reason, probably waiting for a bus. There were few other people on the street, and I became aware of a large black car idling nearby, and then the black-suited and earplugged men who seemed to suddenly appear out of the shadows, standing quietly but obviously very very alert to their surroundings. A few moments later, I saw the reason for the Secret Service, as Reagan emerged from the building, strode briskly across the sidewalk, and smiled and waved at me as I stood there stunned and agape. He quickly entered the car, and then he and the dark ghosts were gone, leaving only the car's tiny puddle of dripped air conditioner condensation in their wake. I was sorry to hear of his death, though of course it wasn't a surprise. I can't really say whether or not I liked him, but I did respect him, especially since he was President during the time that I was in the USAF, and as such, he was my boss. And I will spend a moment of silence this Friday, in honor of his memory. I love this site. It's a blog of someone who quotes and links news articles from post World War II, during the occupation of Germany. All of the same whining and complaining and finger-pointing that's going on now about Iraq ("There wasn't a plan," "the motives were wrong," "things aren't going as smoothly as they're supposed to," the sky is falling, etc.) were being said then, as well. Those who do not study history, are doomed to repeat it . . .